Can you imagine what it would be like to spend the night camping under the stars in the most remote location on earth? Or scaling an as yet unnamed mountain that few have even seen, let alone climbed? What about scuba diving in a fascinating underworld of gigantic icebergs amongst marine creatures found nowhere else? In its ongoing quest to provide the most extraordinary environmentally sensitive adventures in Antarctica, Aurora Expeditions has ten voyages during the Antarctic season between November 2009 and March 2010, which offer the most comprehensive program of adventure activities of any Antarctic tour operator including camping, mountain climbing, scuba diving and kayaking. During the Antarctic summer, there is almost 24 hours of daylight, which makes it possible for travellers who want to push the limits and become one of the handful of people who will ever experience these adventures in the most extreme wilderness on the planet. 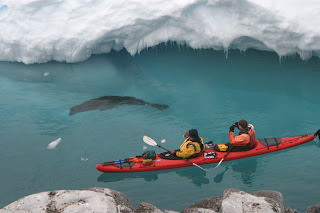 A 12-day 'Antarctic Peninsula for Climbers and Kayakers' (7 -18 December 2009) voyage offers the chance to climb icebergs and unclimbed peaks or paddle in pristine waters led by some of the world's most experienced mountain climbers and guides. A 12-day 'Across the Circle' (16 – 27 February 2010) voyage includes the opportunity to scuba dive below the Antarctic Circle in a once-in-a-lifetime underwater adventure. A 20-day 'Shackleton Odyssey', (27 February – 18 March 2010) voyage retraces the epic journey of the great explorer Sir Ernest Shackleton and offers the option for experienced climbers to repeat his alpine crossing on foot from King Haakon Bay to the now deserted whaling station at Stromness on the fabled island of South Georgia. There are also four trips that include an opportunity to camp out overnight on the ice. Prices start at US$5990 (ex-Ushuaia) per person triple share and include all meals on board, shore excursions, and an in-depth education program with expert commentary and talks by Aurora's team of naturalists, historians, geologists, expedition staff and special guest lecturers. The voyages also provide maximum wildlife viewing opportunities and visit a number of historic sites and scientific research stations. Swan Hellenic – Minerva, the pioneers of discovery cruising in the UK, will once again be sailing south for winter 2009/10 to remote continent of Antarctica. This will be the last opportunity in a while aboard Minerva to explore the rugged scenery of the Falklands Islands, South Georgia, the South Shetland Islands and to the Antarctic Peninsula itself - passengers booking now will save £1,555pp! Minerva is ideally constructed for these waters and takes exploring Antarctica to a new dimension. Passengers can cruise in comfort and style in the company of just 200 like-minded travellers (Minerva normally berths 320 passengers on summer cruises) – making for an intimate and unforgettable experience. The award-winning Minerva Antarctic Expedition is an adventure experience without equal, exploring islands of rare beauty in the South Atlantic. Amid the spectacular landscapes that range from pristine ice cliffs to volcanic beaches and jagged peaks, Zodiac inflatable craft allow travellers to access sheltered inlets for close cruising and to admire the abundant wildlife at close quarters. Crossing the Scotia Sea to the tip of Antarctica, passengers will step ashore to a cacophony of wildlife including king and chinstrap penguins, numerous varieties of seal, majestic Wandering Albatrosses aloft and silent whales breaking through mirrored waters. Antarctica is like no other place on earth and understanding its mysteries takes a special team. Those travelling aboard Minerva will be in the safe hands of Abercrombie & Kent’s award winning Expedition Team, who share their specialist knowledge as well as their enthusiasm for delivering the geology, history and zoology of the region to a wide audience. For example, as Minerva sails through the South Shetland Islands, guides will vividly describe the Heroic Age of Antarctic expeditions and recount what life was like for the members of Shackleton’s Endurance expedition who survived on the desolate Elephant Island for over four months before being rescued. Minerva has been operating award-winning cruises to Antarctica since 2003, ensuring the perfect mix of adventure and exploration whilst still providing the on board comforts. With Minerva’s passenger capacity reduced, all travellers will enjoy the benefits of an outside cabin and with a crew of 146, passengers are at a privileged ratio that ensures they’ll want for nothing. There are also welcoming comforts, including complimentary parkas, backpacks and on board bar drinks including champagne (excluding premium brands), and a personalised post-cruise journal will bring the experience back to life in the years to come. Photographs and a diary depicting highlights of the cruise are also posted on Swan Hellenic’s website http://www.swanhellenic.com/antarcticlog. The Minerva Antarctic experience is one people will cherish and find hard to equal. It’s no wonder that Condé Nast Traveller rated Minerva “the world’s best Antarctica expedition ship” two years running. To celebrate winter and all its beauty, passengers on Captain Cook Cruises Murray Princess can bring their friend or partner for half the price on any 3, 4 or 7 night cruise over the winter months of June, July and August and as an added surprise every three night cruise in July will celebrate Christmas in July. There is no better way to discover the winter enchantment of the Murray River, secrets of Australian history and the taste sensations of the Murray's food and wine trail than on the romantic paddle-wheeler PS Murray Princess. Enjoy the warmth of the cosy paddlewheel lounge and the amazing views it offers as the Murray Princess cruises past towering limestone cliffs, through picturesque gorges and along riverbanks lined with mallee scrub, red gum forests and century old stone causeways. The river in winter attracts an amazing array of Australian wildlife and over 350 species of birds. Led by on-shore guides, passengers can enjoy nature walks, nocturnal eco-tours, a backwater boat tour and learn about the ecology of the river. Or stay on-board and heat up in one of two spas or saunas. The three nights Discovery Cruise departs every Friday at 4.30pm and prices start from $775 for the first person and from $388 for the second person. The four nights Outback Heritage Cruise departs Mannum every Monday at 4.30pm and prices start from $1033 for the first person and from $517 for the second person. 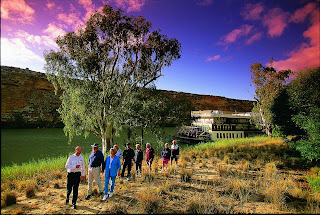 The seven nights Murraylands & Wildlife Cruise departs Mannum every Friday and Monday at 4.30pm and prices start from $1596 for the first person and from $798 for the second person. Australian private charter yacht, Southern Cloud is available for short term private and corporate charter in and around Sydney Harbour. A complete and unique luxury experience, Southern Cloud provides everything you could want in a luxury sailing yacht. This fully refurbished and modernised 130ft sailing charter yacht is able to comfortably sleep 12 in decadent and luxurious surroundings. Including fully electric en-suite facilities for all seven bedrooms, full internet access, laundry and climate control, modern entertainment and a private crew of six staff, you will not have a single worry whilst on board. On deck, expansive space provides room for dining and entertainment, making Southern Cloud the perfect vessel to experience and explore magical Sydney Harbour. With a 25 ft beam, this classically Bermuda rigged yacht can easily cater for large functions and events across the vast deck space. “Southern Cloud represents a rare opportunity to privately charter a luxury yacht of this size and quality in Australian waters,” Ben Harvey, Southern Cloud’s manager says. This exclusive charter opportunity comes with everything you will need during your stay: a dedicated staff including a chef, engineer, stewardess and First Mate, diving and snorkelling equipment, a 24-hour water taxi service and all of the equipment you could need are provided for. For AUD$1650 per person for three days and two nights aboard, twelve lucky guests can take in the very best Sydney has to offer, on the best private charter yacht in Australian waters. Drop anchor out the front of Taronga Zoo, visit Pittwater for a night, or slowly tack around Farm Cove and Rose Bay as you enjoy your company and beautiful surrounds. Australians are being encouraged to holiday at home, but if you've already 'done' the Great Barrier Reef's islands, Coral Princess offers a new perspective on the world's largest living organism. Coral Princess Cruises pioneered small-ship cruising on the Great Barrier Reef, exploring remote islands and reefs normally off-limits to island-based tourists, where snorkelling or SCUBA diving on pristine stretches of coral reef is a matter of diving overboard. Entering its 26th year of operations on the Reef, the company's three, four and seven-night Great Barrier Reef Cruises won Coral Princess Cruises the title of Major Tour and Transport Operator for 2008 at the Tropical North Queensland Tourism Awards. Coral Princess and her sister ship, Coral Princess II cruise weekly between Townsville and Cairns over three nights, or over four nights departing Cairns and travelling north to Lizard Island and return. The cruises show off some of the world's best snorkelling, swimming and coral viewing spots en route, such as Thetford Reef, and Sudbury Reef. The three-night voyage also visits Dunk Island and cruises through the Hinchinbrook Channel. Accommodating a maximum of just 50 guests, Coral Princess is equipped with a glass bottom boat and inflatable zodiacs for daily reef and shore excursions. There's even an excursion to Coral Princess' own private island – Pelorus – with no one else in sight except for Coral Princess passengers and crew. Qualified marine biologists and a SCUBA diving instructor are also on board to explain the natural history and biodiversity of the area, making a snorkel or SCUBA dive in the sparkling blue waters even more fascinating. Prices start at $1 496 per person in a twin share cabin on the three-night cruise ex Townsville or Cairns, or $1 896 per person twin share for the four-night cruise from Cairns to Lizard Island and return, with weekly departures year round. Prices include accommodation, all meals, lectures and services of expedition staff on board, group transfers, activities and excursions during the cruise, and landing fees. IN his continuing search for the more weird, whacky and wonderous in the world of travel, DAVID ELLIS says that if you've ever wondered what its like to be a Mexican making a bolt across No Man's Land on the border with the USA, you can now experience it for yourself. You'll find yourself being chased by (fake) police firing blanks, scrambling under viaducts, crossing rickety makeshift bridges, wading through rivers, sludging through cornfields, and finally scrambling under a barbed wire fence similar to that into the US... all in complete night-time pitch blackness. Local Hnanhnus Indians who own the Parque Eco Alberto three hours out of Mexico City put on regular "alien running" tours to help tourists understand the trauma of running the border with gun-wielding police in pursuit; it costs US$18 for the four hour experience – and your guides can include women with babies and children who play out the role of illegal immigrant with you. Over three thousands tourists have taken part in the tours to date. BUY-UP A PART OF BRITSH HISTORY – ‘OWZAT? 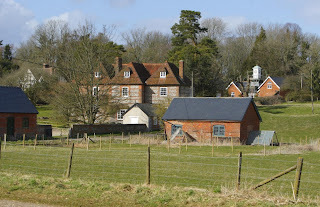 THE "FOR SALE" sign has gone up in the little English village of Linkenholt in Hampshire, and if you've a lazy $23-million pounds (that's about AU$47-million) it's your chance to go one-up on the neighbours. Because when you hand over your cheque, what is now your neighbour's will become yours, as your little investment will not just get you the circa-1871 School House, nor just one of the 12th century farming lots, nor just the quaint one-building "shopping centre" where you can lean on the counter and meet the forty or so neighbours who've lived here all their lives. It'll get you the entire village. 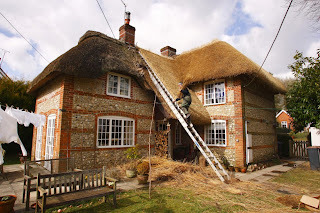 That's 22-houses and cottages, a 140-year old Rectory, two smithing businesses with working forges, that one shop, 600-plus hectares of farm- and grass-lands, another 170ha of woodlands in which the landed gentry part with very serious money to shoot pheasant and grouse on the surrounding North Wessex Downs, and even a cricket ground and pavilion. And a fence around the whole lot. But what it won't get you is the1000-year old Manor House: you'll have to buy that separately when it comes on the market later this year if you want to play Lord of the Manor. Nor will it get you the 12th century St Peters village church next to the Rectory, because according to the estate agent handling the sale of the village, "that belongs to God." And neither will you get your own village pub: the only one in Linkenholt closed down a few years ago and has been converted into a private residence, but a short walk to one of the neighbouring villages will get you a pint. But you will get to own everything else in this quintessential piece of rural England that dates back to before Domesday (1086) and whose sale, according to estate agent Tim Sherston in wonderfully British understatement, is "very unusual indeed. "In fact," he adds, "I can't recall the last time a village came up for sale." But Linkenholt has, however, been bought and sold numerous times in its 1000-year history. Earliest records show that the Manor of Linkenholt was granted by successive monarchs to the Abbots of St Peter, Gloucester and that to raise funds for the church, they rented Linkenholt out in its entirety to various business interests. One of the earliest actual sales of the whole village was to a fellow named Emanuel Badd who bought it in 1629 for 2000-pounds, and sold it fifty-one years later for 12,000-pounds to a Dutch investor, Robert Styles who literally threw good money after Badd. The Styles' family remained owners of Linkenholt until the early 1800s when it changed hands several times, sold at auction in the 1960s for 540,000-pounds, and was bought soon after by colourful sportsman and philanthropist Herbert Blagrave for an undisclosed amount. Blagrave played lower-order cricket for Gloucestershire, and in his only first-class appearance for the Club in 1922, was caught out for a duck in the first innings and for twelve in the second, and went back to the lower grades. He had more luck as a racehorse trainer than a cricketer however, bringing-home 350 winners in a 50-year career, and was also a director of Southampton Football Club. 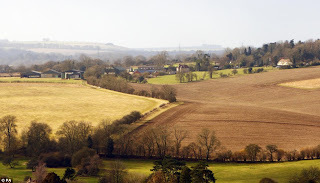 Blagrave was fascinated by Linkenholt's history, yet while he owned the village and poured millions into the development of its agricultural lands and sporting facilities, he never lived there amid what he called "its remoteness and tranquillity" just 120km south-west of London. 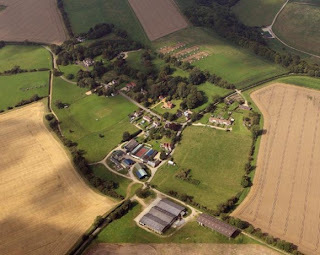 And with no heir, when he died in 1981 aged 82 Herbert Blagrave left his village to a charitable trust with instructions that its income be used to help sick children, the elderly, and injured jockeys; after owning Linkeholt for the past 28-years the Trust has decided to sell and to invest its money elsewhere. Whoever buys the village will find the well-maintained houses, cottages and commercial buildings, and the surrounding farmlands, will bring-in around 350,000-pounds a year in rent. And there'll be a further 40,000-pounds annually on top of this from shooters going after pheasant and grouse in what's considered one of Britain's finest high-bird shooting areas. If being Lord of the Manor appeals, email Jackson-Stops & Staff in Newbury on newbury@jackson-stops.co.uk for full details. 1. Neither region is a sun destination. 2. They are cold places to visit. 3. Polar voyages are more expensive than other cruises. The polar regions are the ultimate sun destinations. Travel occurs in the summer months - June to September for the Arctic and October to March for the Antarctic. During the summer daylight is continuous above the polar circle. Consumers who choose itineraries that sail near or above a polar circle will be able to bask in the sun 18 to 24 hours a day. Travelers to the polar regions are encouraged to pack swimsuits, for polar plunges. Although the temperature hovers above freezing, in some locales geothermal activity creates hot springs in which to laze. Admittedly, the weather can turn suddenly, but if consumers pack the gear recommended by the outfitter, they will be very comfortable no matter what the weather. Polar expeditions range in price, and when comparisons are made with other cruise destinations, often they are favorable. This is because polar expeditions are virtually all-inclusive. Unlike more traditional cruises that charge fees for shore landings, the best polar expedition companies include shore landings in the cost of the voyage. Consumers are advised to comparison shop, as the lowest price is not necessarily the best value! First time travelers to the Arctic would do well to consider Spitsbergen, Svalbard as a destination. Those considering Antarctica for the first time would do well to consider a Peninsula voyage. Since 1991, Quark Expeditions has established a tradition of firsts in polar expedition travel. The company was the first to transit the Northeast Passage with commercial passengers; the first to take travelers to the "far side" of Antarctica and the first to circumnavigate the Antarctic continent with guests, twice. Quark is also recognized for its diverse passenger fleet; the largest in Antarctica - including the only polar-class icebreaker operating as an expedition ship there. The fleet enables Quark to operate the widest variety of polar itineraries of any other adventure company in the world, and the greatest number of departures to Antarctica. In October 2006 and 2007, Quark was named a recipient of National Geographic Traveler's "50 Tours of a Lifetime" for their "Emperor Penguin Safari" and the "Far Side" respectively. In the March 2006 edition, Outside magazine named the "Emperor Penguin Safari" as one of the New Trips of a Lifetime. A fortnightly Friday night cruise aboard a 60m cruising catamaran now provides a tranquil, Friday night idyll allowing Brisbane residents and visitors to enjoy the lights of the city skyline. The two and a half hour cruises aboard the boutique cruise ship MV Fantasea Ammari include a two course meal with beer, wine and soft drinks and are priced at AUD$120 per head. Enabling guests to enjoy the tranquillity of the river and admire the city lights, the cruises leave Skyring Terrace at Newstead at 6.30pm and return at 9.00pm with a jazz band on board providing entertainment. The menu of tempura fish, tandoori chicken breast and lamb and rosemary sausage kebabs with a choice of salads is complemented by a selection of Sirromet white, red and sparkling wines and a range of beers. The 60 metre MV Fantasea Ammari, which has previously cruised the Mediterranean and the Whitsundays, boasts four decks including an expansive, open sun deck which allows guests to fully appreciate Brisbane at night from the river. 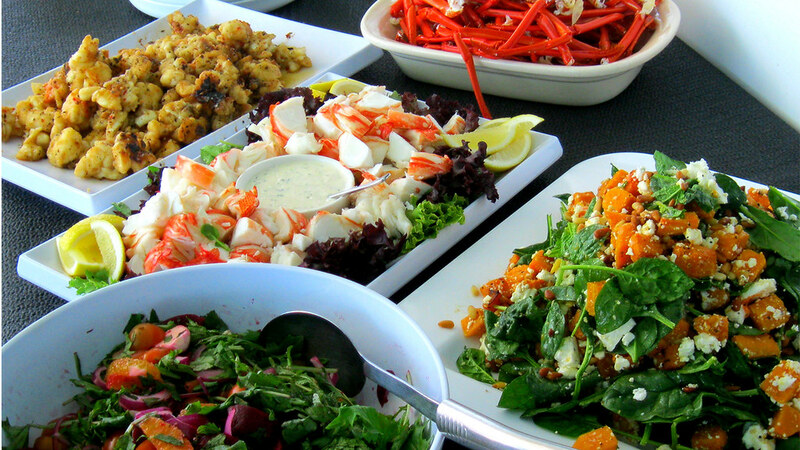 The ship can host 270 guests while cruising the river or 180 in Moreton Bay. It has four star accommodation for 64 guests in 32 spacious, air conditioned cabins equipped with ensuite bathrooms, bar fridge and plasma television screens and can be chartered for corporate or private events. The ship is part of the Fantasea Adventure Cruising fleet which is owned and operated by the Campbell Family under the company Riverside Marine with headquarters situated on the Brisbane River in Newstead. Dive into an adventure with a rare visit to the Cocos Islands with Cruise West (www.cruisewest.com), one of the world's leading providers of small-ship exploration cruises to the most fascinating destinations on earth. Cruise West is introducing two, six-night Cocos Island voyages and a revised nine-night Between Two Seas Panama & Costa Rica program for the 2009/2010 season. Combine both itineraries for a remarkable 15-night journey aboard the 100-guest Pacific Explorer that includes a full transit through the Panama Canal. Book early and save up to $1,200 per cabin. The new Cocos Island cruise begins in Los Suenos, Costa Rica and offers three full days of land and sea exploration including guided walks, Zodiac tours, snorkeling and kayaking opportunities. This rarely visited UNESCO World Heritage Site boasts prolific bird life with some 90 species, unusual caverns to explore, the world's largest hammerhead shark population and more. Departures are available on January 24 and April 12, 2010, and may be combined with the January 15, January 30 or April 3, 2010, Between Two Seas departures. The revised 9-night Between Two Seas voyage sailing one-way between Panama City and Los Suenos, Costa Rica, takes in the sights of Portobelo with a special performance by the Kuna Indians and traverses the entire Panama Canal. Always a highlight are the welcoming Emberá people in the Darién Jungle who are known for tattooing themselves with ink made from the fruit of the jagua plant. Newly added are two days at Coiba National Park, known for its abundant sea life, which makes for fabulous snorkeling, kayaking and nature walk opportunities. Rounding out this active and nature-focused itinerary are visits to Casa Orquideas at Golfo Dulce boasting beautiful gardens; and guided nature walks and beach time at Corcovado Conservation Area and Manuel Antonio National Park, known for prolific wildlife and bird viewing. Choose from 14 departures that operate from October 26, 2009 through April 3, 2010. Avoid Holiday stress and enjoy a relaxing Christmas on the December 18, 2009 departure complete with festive Costa Rican and Panamanian holiday activities and traditional cuisine. Or ring in Feliz Año Nuevo on the December 27 sailing with a New Year's bash including a midnight toast and late night buffet. Highlighting the stunning flora and fauna native to Costa Rica are three diverse Land Tour add-ons: The 2-night Monteverde Cloud Forest Reserve known for its butterfly and hummingbird gardens; the 4-night coastal wildlife experience at famed Tortuguero National Park on the Caribbean coast; or the 5-night of adventures in Sarapiqui and Arenal, Costa Rica that includes a visit to Doka Estate Coffee Plantation and the world-class Gold Museum, options to participate on the thrilling canopy zip line tour, a float or river rafting trip or a chocolate and pineapple plantation tour and Arenal Hot Springs. Rates for Cocos Islands prices start at $2,799 and Between Two Seas begins at $3,999 per person based on double occupancy. Book and pay in full for October or November 2009 departures and save $350/cabin; save $1,200/cabin, double occupancy for departures December through March 2010. The 14-night Between Two Seas Cruise/Sarapiqui Land Tour starts at $5,899. To book the Cocos Islands or Between Two Seas voyages or for additional information call 1-800-296-8307 or a travel professional or visit www.cruisewest.com. More information about Cruise West, Cruise West's 2009/2010 voyages to cruise locales as diverse as Alaska, Panama & Costa Rica, Mexico's Sea of Cortes, Japan, Vietnam, Antarctica, the Galapagos, the Pacific Northwest or the romantic rivers of Europe can be found online at www.cruisewest.com or by calling 800-296-8307. 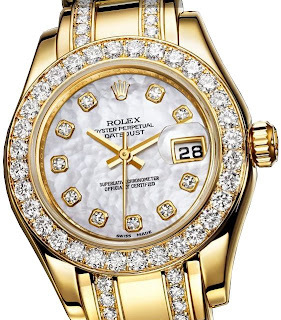 IN his continuing search for the more weird, whacky and wonderous in the world of travel, DAVID ELLIS says that currently doing the rounds in some sections of the media, is a story that holidaymakers are financing their vacations on Spain's Costa del Sol with more claims on insurance companies every day for lost or stolen Rolex Oyster watches than Rolex actually make. Its a furphy: Rolex make over 2000 Oyster watches a day... and insurance companies say any suggestion they're being hit with more than 2000 claims for such lost or stolen time-pieces every day on the Costa del Sol - which equates to over 730,000 claims a year from one beachside resort alone - is pure urban myth. As the thermometer starts to rise Australians turn their thoughts to the beach, BBQs, summer holidays and music festivals. The amount of music festivals that are held in the summer months in Oz seem to increase every year. The increase is fine with me. I like nothing better than spending a day with my friends listening to fantastic music meeting new people and experiencing the best of summer. The festivals now cover all sorts of music from folk to funk, dance to heavy rock so everyone is catered for. Here are of some of the best. Summer kicks of with “Homebake” in Sydney. A celebration of Australian music whose tickets are as rare as hens teeth but it’s a brilliant day. Music of all genres and tastes are represented here by Australia’s best. The Falls festivals are held simultaneously in Lorne in Victoria and Marion Bay in Tasmania. The 3-day festival helps send the old year out with a bang and welcome the new year with a visceral howl. Featuring international and local rock acts that perform at both venues. This is one for the rock fans. Flying into Avalon Airport or Hobart Airport and hiring a car is the easiest way to get to Lorne or Marion Bay. This also guarantees a place for you to stay at both venues (that’s if you get kicked out of your tent for snoring). In Brisbane as the world wakes up to a brand new year BBQ Breaks shakes the River Stage. No time for rest as some of the finest dance music in Australia is on offer. A lazy afternoon, by the river, reflecting on the year that’s past. My personal favorite is the Big Day Out. This is a touring festival that takes in all capital cities except for Darwin and Canberra and even crosses the pond to Auckland, New Zealand. With new acts, legends and the hottest bands in the world, covering rock hip-hop, dance, folk and metal this is truly a big day. Friends of mine have even done the Big Road Trip and followed the festival around the country. Festival survival guide - Some things that will help you have a great day. Water- really this is the top priority above all else. Its easy to dehydrate when your having so much fun. A Meeting Place- Very important as you can get lost very easily. This place also needs to be easily found by everyone. A small tip: Don’t expect your mobile to always work. Technology is a wonderful thing but when 40,000 people are all texting and calling at the same time the networks get backed up. Most text messages arrive hours if not days later so have a back up plan. Transport – Be it a hire car or your own wheels. For festivals that go overnight or a couple of days it provides a safe lock up for your things and also a great meeting place. A rain poncho- Keeps you dry this is obvious. Sunscreen and hat – Keeps you from turning in to lobster and ruining your day. Many venues are without much shade so this can be very important. Cash – Not too many ATMs and they run out of money easily. I try not to be to regimented in who I want to see play now at festivals as you can uncover some amazing music if you just go with the flow. Years ago I was lucky to watch a new band by the name of Coldplay who played early and to relatively small numbers. They now fill stadiums. So grab a couple of friends secure your tickets early and get ready to celebrate summer and great music. Every year as the winter chill grips the southern states of Australia a migration takes place to the warmer climes and fun times of the Gold Coast in South East Queensland. The Gold Coast is many things to many people for families it’s a chance to relax take some time together and visit the theme parks, for couples a romantic getaway and for singles a chance to play. During spring and summer on the coast it becomes a home for events like the Magic Millions, Super GP, Big Day Out and the infamous Schoolies. In winter the area has a more intimate feel with the large, concentrated numbers of summer having dispersed into smaller groups. For me this is the coast at its best. It may not be as warm but the beach is less crowded, the days are beautiful and the area is more relaxed. Arriving at Coolangatta Airport it's sensible to collect a hire car as most of the attractions and accommodations are spread out over a fairly large distance. The public transport system is good but it is more convenient to have your own set of wheels. Accommodation can be found all along the coast with some very good accommodation available inland. Another bonus to travelling at this time of the year is that accommodation can be a bit cheaper. Families will love the resort style accommodations that are offered away from Surfers Paradise. Diamond Beach Resort is in Broadbeach and is a great place for families. Just 100m from the beach, close to Pacific Fair and Broadbeach shopping and dining precincts. Diamond Beach will make everyone in the family happy and relaxed. For the romantic, an escape to one of the 5-star hotels is in order. Staying at the Marriott or Versace Hotel will help create some perfect memories. With day spas and fantastic restaurants you don’t have to go far to feel pampered. For a mates holiday take a house on the beach or one of the canals. Make this your base to explore the coast. Plenty of large houses are available all year round. 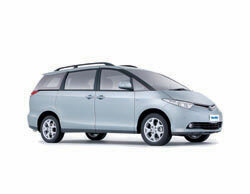 If travelling with a large group don’t forget to “book your Tarago” early to help move the group around. Once you have your hire car you are free to explore some of the hidden gems the “Goldie” has to offer. Mt Tambourine is a stunning area with breathtaking views of the coast. Markets happen in the village on the weekend and you can find some yummy treats. Springbrook is also inland and is a place for those who like to hike. Located on the rim of a dormant volcano is “Best of all Lookout”. The short hike to the platform is stunning and takes you through some rainforest that looks like something out of prehistoric times. Coolangatta / Tweed Heads is a great day out. Fish and chips on Kira Beach are a must. Travel a little further north to Currumbin Wildlife Sanctuary and go wild with the animals. Finish with dinner at Burleigh Heads at one of the many restaurants. Then there are the theme parks, the world class gold courses, dining and entertainment, casino, boutique shopping and the happy locals. With all the offers, specials and discounts that are around your holiday has the ability to be jam-packed with unique experiences without breaking the bank. The Gold Coast is yours to discover so don’t wait till spring, shake the winter blues save some money and head north. One person’s loss is another one’s gain. Up until just the other day, the first West Papua Discoverer itinerary from North Star Cruises (who operate the multi-award-winning True North II) was a total sellout. Due to a last minute cancellation, a handful of cabins have come back on the market for this ground-breaking expedition cruise. In the genuine spirit of adventure and discovery, True North will venture to seldom-visited lands to the west of Papua New Guinea, formerly known as Irian Jaya. A few things to make clear up front; 1) This is an expedition. There is a general itinerary planned, but unplanned things will almost certainly happen. Landing sites will alter which could just as easily mean unexpected surprises and discoveries. 2) It’s expensive. Why? Because the logistics of operating a small ship in remote waters, included passenger transfers and provisioning add unavoidably to the costs. How much? Starting price AUD $20k per person, twin share. Even so, with space available for less than a dozen passengers, this could be the adventure of a lifetime. All of True North’s renown expedition facilities will be at hand for this journey; diving, snorkeling, fishing, helicopter sight-seeing as well as shore excursions to islands only Google Earth can reveal. Kofiau Island, Aljui Bay, Karas Island, Pulau Mansuar and even one nick-named ‘Jurassic Park’ (Arguni) because of its steep, densely wooded atolls and sheer cliffs. At the conclusion, guests will fly out of Timika by charter to Darwin. All of this wonder isn’t much good unless you have someone to help you interpret it and that’s where Drs Gerry Allen and Mark Erdmann (pictured) come in. Both will hold lectures and enrichment sessions for guests to help them come to terms with the fascinating above- and underwater landscapes and all that they hold. True adventurers with both the spirit and the where-with-all, especially those with SCUBA diving experience, will gain enormously from this rare opportunity. So this rare opportunity could be an only opportunity. Buy 1 Get 1 Free Arctic Cruise Expedition from Churchill to Kuujjuaq (Canada) on 22 July, 2009! Travelling through the Arctic brings you to a place of pristine landscapes with rolling tundra and dramatic fiords; see polar bears, muskoxen and other rare wildlife under the midnight sun; and take an up-close look into the unique culture of the Inuit people. An exotic and stunning land. Our Arctic Expeditions, get you closer. An Inuit-owned company, they bring you into the heart of this land. The friendly staff, including top-notch guides and naturalists, accompany you throughout. With the intimate, ice-strengthened ship, travel in safety and comfort to remote shores and visit wildlife colonies, archeological sites and Inuit villages. An uninhabited island of soaring bird cliffs and small rocky beaches. Here we'll use our zodiacs to scout the beaches in search of walrus and polar bears. At the northern tip of a peninsula jutting into Hudson Strait, Quaqtaq lies directly in the path of migrating marine mammals. On nearby Diana Island, herds of muskox roam the island amid fields of wildflowers and thick beds of soft lichen. Passing through a deep fiord with steep rocky walls, we anchor in the community of Kangiqsujuaq (Wakeham Bay). 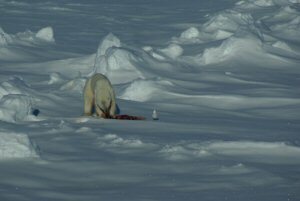 We feast on locally harvested foods, and enjoy an amazing performance of traditional Inuit throat singing and drum dancing. At Digges Island we visit the spot where Henry Hudson first encountered native Inuit. We cruise along the cliff face and visit Mansel Island, a favourite place for walrus and polar bear. This small, rocky outcrop in the northern reaches of Hudson Bay is a favourite haul-out for hundreds of walrus. We zodiac the shores and marvel at the size and number of these massive creatures with their gleaming ivory tusks, so awkward on land but incredibly agile in the water. The relatively warm waters of the Churchill River are a favourite summering ground for thousands of glistening white beluga whales. Watch for them on deck as we maneuver up the river and prepare for our journey home. Price is US$5195* for cruise only and the second person travels on the cruise for free. Bookings must be paid by 30 Apr, 2009. Contact Adventure Destinations on (03) 9570 4466 or 1300 136 330. *terms and conditions apply. WHEN some mates lamented that they couldn't get a decent pizza in Manhattan, Tony Muia took them across the Brooklyn Bridge to his part of New York City to show them the great family pizzerias that existed there – and tossed in a look at a few of local attractions as well. 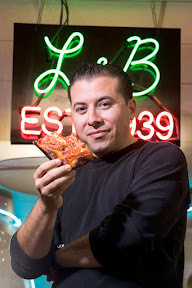 It was only natural that his mates were impressed with their Brooklyn pizzeria discoveries and what else Tony had to show them: after all, Bensonhurst where he hails from is The Little Italy of Brooklyn. But not in his wildest dreams did he image what that trip across the Brooklyn Bridge would lead to, because a week or so later one of those mates asked if Tony would do the trip again for he and some other friends. Tony agreed, and was surprised to find ten people waiting for him – and soon after a total stranger rang and said they'd heard of Tony's "tour," and would he do it for them too. Again he agreed, and was staggered to be told there were twenty Manhatteners waiting to come across to Brooklyn to eat pizza and be shown the sights. So he hired a bus. That was fourteen years ago, and after taking the gamble and chucking-in his job as a healthcare worker, Tony now runs eye-opening 4.5-hour bus tours that combine eating pizza at two of Brooklyn's most famous pizzerias, watching on-board video clips of movies that have been made in Brooklyn as you pass through actual filming sites, and being shown Brooklyn's better- and lesser-known landmarks. He calls it A Slice of Brooklyn Pizza Tour, and he does it Fridays to Mondays – and is planning 7-days later this year. But it's no longer just for those from across New York's East River: today his 36 guests on each tour come from across the USA, England, Ireland and Scotland, France, Germany, Austria, Canada – and in growing numbers from Australia too. And yes, from Italy as well – Italians coming to eat what are considered America's best Neapolitan- and Sicilian-style pizzas. With his Italian-heritage good-looks, fast-patter Brooklyn 'fuhgedaboudit' accent and references to his family and life – "I'm Tony and I got two brudders, Vinny and Joey, you can't make this stuff up" – he's almost Heaven-sent from Central Casting. His tours swing by Coney Island amusement park and boardwalk, through brownstone neighbourhoods, into Trump Village where Donald's dad, Fred made his real estate fortune, and Keyspan Park that's home to baseball's Cyclones. Tony's enormously proud of his Bensonhurst roots: as the bus rolls down 86th Street he shows clips of John Travolta strutting his stuff right here in the opening scenes from Saturday Night Fever. "An' see that road – that's where they did the chase in The French Connection," he says. "An' hey, remember this place in Scent of a Woman?" And a little later: "An' what about this in Annie Hall…"
The patter's thick and fast, the timing with what's on the video screen, perfect. But its also pizza people have come for, and again they're not disappointed. Early in the tour there's a stop at world-famous Grimaldi's where customers queue outside for an hour or more in rain, hail or shine for a table. Not Tony's guests though, they're ushered straight through to their's for slices of Neapolitan-style pizzas, including the legendary Margherita created at Pizzeria Brandi in Naples when Italy's Queen Margherita of Savoy visited in 1889. Comprising a thin base topped with San Marzano tomatoes, fresh Mozzarella and fresh basil, the Margherita's creator Raffaele Esposito chose the ingredients as they evoked the colours of the Italian flag. And to finish the tour is a call at L&B Spumoni Gardens for slices of Sicilian-style pizzas, thicker bases with Parmesan-over-sauce-over- Mozzarella; this mouth-watering pizzeria evolved from a tiny Brooklyn luncheonette owned by Ludovico Barbati who started making pizzas with his son after the Second War the way his Sicilian grandfather had shown him as a boy. Tony Muia has certainly come a long way from when his mates lamented over the lack of a good pizzeria in Manhattan. His tours cost AU$110pp and due to their popularity should be booked through Canada & Alaska Specialist Holidays on 1300 79 49 59 before leaving Australia. Expedition cruising is an increasingly popular niche product that agents can recommend to clients looking for a new experience in cruise vacations. Sometimes confused with small ship cruising, the similarities between the two basically stop at the size of the ships. "Traditional small ship cruising is different from expeditions in that its still going to some of the same ports as some of the larger ships," Jennifer Rosen, marketing director for Hurtigruten, told Travel Trade. To have Billy Connolly as a personal tour guide through some of the world's most dramatic landscapes---from the Atlantic to the Pacific via the fabled Northwest Passage - is to enjoy a once-in-a-lifetime experience. With his idiosyncratic humour, Billy searches for the beauty of ordinariness and bumps into all manner of weird and wonderful people along the way, from the fiddle-playing scarecrow-maker to the septuagenarian pioneer who still lives as her ancestors did. He learns how not to be intimate with bears and how to pan for gold. He herds cattle, has a profound experience in a sweat lodge and attempts the finer complexities of the Inuit language. He jams with fellow musicians, kisses a cod and waxes lyrical about icebergs. "Everybody thinks icebergs are white and like ice cream all the way through, but they’re not white at all, they’re blue, the most spectacular turquoise aquamarine blue, like Paul Newman’s eyes. Each one is like a huge piece of sensational jewellery, gliding along. They are alien in their surroundings - a bit like seeing a polar bear in the middle of Sauchiehall Street - but they have such presence and power; a drama all their own. I’d like to tow one up the Clyde or the Thames or the Tyne or the Mersey and let all the kids see it. In a decent world we should all be allowed to slide down one. They’re just made for sliding down especially on the inside, where there’s bound to be a big pool at the bottom of a wonderful slide you can land in with a Splosh!" Journey to the Edge of the World is more than just an informative and entertaining travel guide---it is time spent exclusively in the company of our most engaging national treasure. Cruise now until the end of August 2009 and beat the winter chills with a tropical Great Barrier Reef Cruise at an unbelievable price. THERE was a time when you could go into a pub and buy a beer for a dollar. In the little Arizona town of Bisbee in 1970, artist Stephen Hutchinson went one better than that: with his wife Marcia he walked into the historic local pub, put down his dollar and came away with what he wanted. Not a beer, but the pub itself. 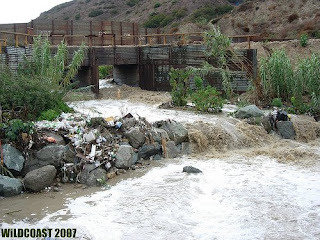 Yet its equally tough and strong-willed civic leaders somehow tamed Bisbee. They built churches, a museum, an enviable library, schools, a YMCA Centre, encouraged families into the area and somewhat miraculously turned Bisbee – then the largest city on the rail line between Saint Louis and San Francisco – into one of America's most-cultured cities for its time as well. From the 1880s to 1970s Bisbee's mines in the ore-rich Mule Mountains were amongst the wealthiest in the world, producing nearly 3-million ounces of gold, over 3.6-million kilograms of copper, and millions more of silver, lead and zinc. But when they closed in the 1970s the population dwindled from 30,000 to a fifth that, and today Bisbee provides a rare opportunity to visit a community that still cherishes and proudly wears its links with the Wild West on its arm – but without the kitsch of other one-time Wild West communities. And it is home to a thriving artists' community, provides a bolt-hole for hippies and other colourful characters and drop-outs, is a haven for activity-minded retirees, and is one of America's most-accepting communities for gays and lesbians. Victorian-era and European-style homes nestle in its foothills alongside Wild West-era cottages, one-time saloons are now art galleries, coffee shops, boutiques and antique stores, and the Copper Queen Hotel that took four years to build from 1898, is a welcoming hostelry once more, with restored Wild West-style bars and restaurants. The hotel was carved into a hillside by one of the mining companies, Phelps Dodge Mining that also owned grocery, hardware, clothing and other businesses – and cleverly paid its employees in cash, so that what went out from one hand on pay-day, was collected back through the other by week's end. The Copper Queen's stone and brick walls are two-thirds of a metre thick to insulate it from the heat of summer and retain warmth in winter, and for some reason never explained, it was designed along Italian lines with Italian mosaic tile floors, and with a cathedral ceiling over the lobby fitted with priceless Tiffany glass – that equally mysteriously was dismantled one weekend and has never been seen again. And the hotel's Saloon still features a near-life-size portrait of British stage actress Lily Langtree, the love interest of Edward Prince of Wales, and said also to be the secret love-wish of Texas Judge, Roy Bean – although he never met her. Stephen and Marcia Hutchinson bought the shuttered-up old hotel after the Phelps Dodge Mining couldn't sell it – and offered it for $1 to any local interested in buying and restoring it. Bisbee has a very active Chamber of Commerce and Tourism Office and has almost weekly community events, celebrations and festivities running the whole gamut of social, recreational and cultural interests. They include a desert bird observatory, daily tours of the abandoned Copper Queen Mine (after which the hotel was named,) weekly Ghost Tours of reputedly-haunted sections of the hotel, a ghost tour every January of the historic and world-famous Bird Cage Theatre, weekly Saturday Farmers Markets, a Gay and Lesbian Pride Weekend and Leather & Lace Ball in June, Annual Brewery Gulch Daze in September and National Cowboy Day the same month, even a Wine Festival in October and an Historic Homes Tour in November. And in October, a bizarre Ice Man Stair Climb in which contestants run up 135 stairs in under 30 seconds while lugging large blocks of ice. Another of Bisbee's unexplained little mysteries. 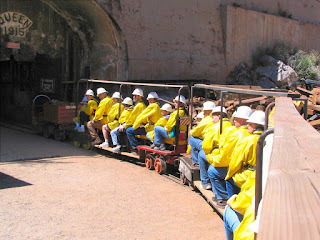 For details of events, accommodation and getting to Bisbee, phone Canada & Alaska Specialist Holidays on 1300 79 49 59. Cruise West (www.cruisewest.com), one of the world's leading providers of small-ship exploration cruises to the most fascinating destinations on earth, announces 12 departures of its seven-night Mexico's Sea of Cortés Whales & Wildlife itinerary for 2009-2010 including three specialty cruises. The specialty itineraries include a John Steinbeck inspired cruise and two holiday getaways. The Whales & Wildlife cruise takes place aboard the comfortable and maneuverable 102-guest Spirit of Endeavour. Guests will have additional opportunities to be immersed into the natural environment by an increased number of small craft excursions. And to truly immerse the guests into the local culture, history, wildlife and sea life of the surrounding area, the lines' recently enhanced enrichment program, Compass, provides meaningful and topical presentations by onboard Exploration Leaders and local experts - a hallmark of all Cruise West voyages. Holiday getaways include the December 19, 2009, Christmas sailing offering a traditional Nochebuena Christmas Eve feast as well as Mexican holiday activities on an inviting and remote beach. 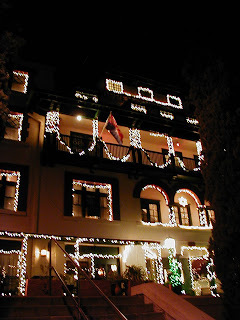 Or celebrate Feliz Año Nuevo on the December 26, 2009 departure complete with a midnight toast and late night buffet and a stop in La Paz to celebrate the "Epiphany" or "Three Kings" day. Steinbeck's riveting adventures come to life on the January 9, 2010 sailing. A John Steinbeck scholar will provide insightful commentary regarding how the author's 1940 expedition to the region inspired his book, The Log of the Sea of Cortez. Guests will experience firsthand the Sea of Cortés's abundant concentration of marine life, from dolphins to sea lions to blue-footed boobies. Cruising roundtrip Cabo San Lucas, highlights comprise both onshore sea and shore opportunities for discovery. Guided nature walks through lush islands, snorkeling, kayaking, whale watching aboard a panga boat in Magdalena Bay (the whales can typically be found from mid-January thru March), tours of historic missions and churches and a fiesta complete with Mexican music, dancers and a piñata are all included excursions. Island visits and port calls include biologically diverse Isla Espiritu Santo, the picturesque village of Loreto, Los Islotes, Isla Partida, La Paz and remote island exploration. The four-day post-cruise Copper Canyon Land Tour offers a spectacular inland contrast to the sea including a railroad ride to over 8,000 feet into the Sierra Madres traveling through six interconnecting canyons; visiting with one of the best preserved cultures in north America, the Tarahumara Indians; and exploration of Pancho Villa's hometown of Chihuahua. Rates begin at $2,599 per person based on double occupancy. Three tiered early booking and final payment savings are available – book and pay in full by May 22, 2009 and save $600; by June 26, 2009, save $400; and by September 11, 2009, save $200 per person. The cruise plus optional four-day Copper Canyon land tour starts at $4,499 per person. More information about Cruise West's 2009/2010 Sea of Cortés voyages or cruise locales as diverse as Alaska, Panama and Costa Rica, Galapagos, Japan, Vietnam, Antarctica, the Pacific Northwest or the romantic rivers of Europe – can be found online at www.cruisewest.com or by calling 1-800-689-1783. Bookings are now being taken for North Star Cruises’ much anticipated West Papua Discoverer cruise which explores an untouched paradise of hidden culture and incredible natural scenery. North Star’s General Manager, Peter Trembath said interest in this remote region had never been greater as today’s travellers increasingly sought out rare unexplored areas of the world. “There are more so-called ‘un-contacted people’ living in West Papua than in any other region on earth,” said Mr Trembath. “It really is one of the few remaining wilderness areas on the planet, making an adventure-cruise to this area a truly remarkable and even life-changing experience,” he said. - Kofiau Island – visit the island village and learn about the local way of life. - Presentations and lectures from guest experts on the region’s vast wilderness. Also on the cruise in 2009 will be renowned marine life expert, Dr Gerry Allen and Dr Mark Erdmann, a senior advisor to Conservation International. Both have spent many years working and researching in West Papua and their expertise will greatly enhance guest enjoyment and understanding of this virtually unknown land. 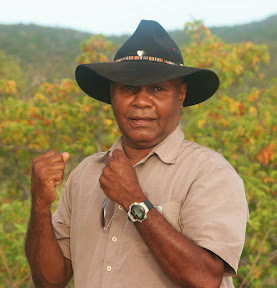 Guests will fly out from Darwin on October 19th, 2009 before joining the True North in Sorong, the gateway to the “land of ‘un-contacted’ people. Prices start from AUD$19,995 per person all inclusive and places are strictly limited. For more information visit www.northstarcruises.com.au or phone 08 9192 1829. AN Italian migrant who made his first wines in the family laundry tub over a half century ago, would doubtless get a kick if he was still around today in knowing that the company that grew from that laundry tub, has just won one of this year's NSW Family Business of the Year Awards. And that it exports around the world, and has its wines on some of the highest-rates cruise ships and in houses of parliament. And even more bizarrely, that his son who now makes the wines and heads up the business, is a teetotaller who won't even drink those that he makes himself. Francesco and Elizabeth Calabria migrated to Australia in 1925 and took-up a 2ha block in the NSW Riverina town of Griffith on which they grew fruit, vegetables and grapes. And as a good Italian boy, Francesco started making his own wine. Neighbours soon heard of it, gave it the thumbs up and started dropping around with 18-litre drums they'd fill from Francesco's supply tank… such was the cosiness of life in the NSW 'bush' in times when the police had better things to do than go around arresting people for flogging home-made grog. But when sales really started to take off, Francesco and Elizabeth decided they'd better do something about it, and in 1945 set up Calabria Wines. In 1974 youngest son Bill, who'd become fascinated watching his dad making wine and did a course in winemaking, took over the business and renamed it Westend Estate Wines. 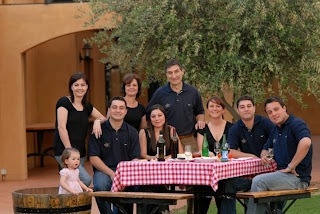 Today it includes on its payroll of over fifty, Bill Calabria as Managing Director and Winemaker, his wife Lena as a working Company Director, their second son Michael as General Manager and his wife Jenine in Administration, third son Andrew as Sales Manager, youngest daughter Elizabeth as Marketing Manager, eldest son Frank Bottling Line Attendant, and Frank's wife Sally Whittaker as Winemaker. And Roy Spagnolo, Bill's nephew, is Company Accountant. That's keeping it all in the family, and this month Westend Estate was named winner of Category 3 of the NSW Family Business of the Year Awards – third generation children or family relations of the second generation now managing the business. Since Bill Calabria took over the reins the company has grown to produce most-all major varieties of reds, whites, sparklings and fortifieds under a half-dozen different labels. It turns out 300,000 cases annually (that's around 3,600,000 bottles) that are sold in 25 countries, and also makes wine under contract for other grape growers. Westend has seen its wines served on ships from the former mega-liner QE2 to the world's highest-rated boutique motor-cruisers SeaDream I and II, in houses of Parliament, win the title of Best Dry White at the London Times Wine Show, be named World's Best Dry Red and Dry White at the London Vintage Wine Festival and go on the shelves of Las Vegas casinos. And it pulled off somewhat of a coup with the World's First Wine of the New Millennium: Bill's team bluffed a row of vines in 1999 into pre-season budding by earlier than normal pruning, covered their roots with black plastic to retain heat, and flooded them with heat and light from halogen lamps at night to simulate 24-hours of sunlight that forced early fruiting. A minute after of midnight on December 31 1999 they picked the grapes, and Bill and his winemakers, Bryan Currie and Sally Whittaker turned these into wine that they had in-tank by sunrise on January 1st 2000; it was later bottled under the Eternity label. And typical of Bill Calabria – who once brought rock bands to the Riverina to provide free concerts for local young people – he gave 25-per cent to family and friends, 25-per cent to local charities for fund raising, kept 25-per cent in Westend's "museum," and only sold the remainder. For information about Westend Estate Wines phone (02) 6969 0800 or check-out www.westendestate.com.au Their Cellar Door is open 7-days in Brayne Road, Griffith and has picnic facilities and a function centre that can accommodate 200 guests. FOOTNOTE: Bill Calabria suffers a rare allergy to the fruit acid in grapes, but he says that when making wines "you don't have to swallow them, to know whether they re good or not." FAMILY picnic: Bill, centre, pours a wine for wife Lena, surrounded by their family. 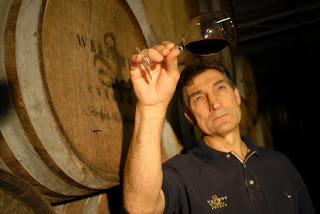 EYE for a red – teetotaller winemaker Bill Calabria, makes it but won't drink it. With whale watching cruises more popular than ever, Captain Cook Cruises has extended its Whale watching season, operating daily Whale Watching cruises from May 16th to November 30th, 2009. The number of Humpback and Southern Wright whales passing through Sydney on their annual northern migration between Antarctica and the Great Barrier Reef, is expected to reach its traditional peak around the Winter Solstice on June 22nd. Whale Watching vessels are purpose built for Whale Watching and feature two decks both offering spectacular open air viewing and a comfortable inside all-weather lounge for the entire family. Captain Cook Cruises offers a whale guarantee - if a whale is not sighted in the months of May to November 2009 passengers can rebook another cruise free of charge or for those cruising in June and July they have the choice to receive 50% of their money back. Whale Watching cruises depart daily from Jetty 6 Circular Quay at 9.10am and 1.30pm and from Darling Harbour at 9.00am and 1.15pm. Morning departures only operate from May 30 to July 31, 2009. Whale Watching Cruises are priced at: adults $75, concession $65, child (0-14) $39, family (2ad+2ch) $189. Just by being a member of That's Life Magazine Gold Club you automatically go into the Major Draw to win a luxurious holiday from Blue Lagoon Cruises! Imagine waking up every morning to a new paradise on board a Blue Lagoon cruise. Journey to pristine islands, visit remote Fijian villages, swim and snorkel in some of the most beautiful waters in the world. * Orchid Deck passenger accommodation with private facilities, all meals, entertainment and excursions. For more details, visit Blue Lagoon Cruises. The winning That's Life! Gold Club membership number will this amazing holiday valued at $6,896. Adventure travel backpacker specialist, Tucan Travel, has added Expedition Cruising to its portfolio, offering cruises to Antarctica, The Arctic, The Amazon, Patagonia and The Galapagos. Tucan currently offers more than 450 group tours and independent travel to destinations including Europe, the Middle East & North Africa, Asia & Russia, East & Southern Africa, and Latin America & Antarctica. It's latest dive into Expedition Cruising will now explore new regions, and become one of its 'Travel Styles', which currently consist of; Discovery Tours, Adventure Tours, Overland Expeditions, Budget Expeditions, and Independent Travel. Speaking about the move, General manager Justin Ewin said, "The decision to branch into cruising is a simple one. "There are parts of the world that can only be accessed by ship, such as the Polar Regions, and others that are best explored via rivers, like the Amazon rainforest. Places like Patagonia and the Galapagos Islands are absolutely teeming with wildlife, so an Expedition Cruise gives you the best chance to get closer to nature." An example of one of Tucan's cruise offerings is a six day 'Galapagos Santa Cruz' voyage which departs from Quito. The cruise follows the footsteps of Darwin and explores the Galapagos, including up close encounters with wildlife like the bluefooted boobies, Galapagos penguins, giant tortoises and land iguanas. It's priced from A$2750pp in a standard cabin including one night pre and post cruise accommodation. To celebrate the launch of its Expedition Cruises, Tucan is offering passengers the chance to win a nine day Amazon Experience for two people on board the M/Y Tucano, ex Manaus (Brazil) including one night pre cruise accommodation and land transfers. The M/Y Tucano is a traditional Amazon River Boat, with nine restored cabins. It explores the riverbank for wildlife and visits remote communities with Tucan guides.